Our newly constructed office, at 534 Nautical Dr. in Lake Wylie, SC in Shoppes at the Landing, is a purpose-built facility with all state-of-the-art equipment to ensure a safe and positive experience. 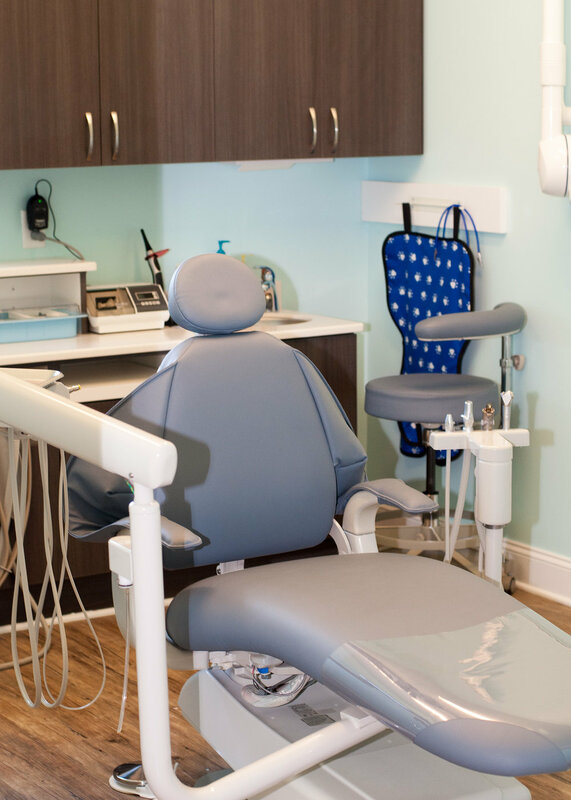 Please feel free to take a step inside Lake Wylie Pediatric Dentistry by browsing a few of the photos below. Our artwork is very unique. The fish prints in our office are known as Gyotaku (https://en.wikipedia.org/wiki/Gyotaku). All these fish were caught and consumed by Dr. Ryan and friends while stationed in Okinawa, Japan. The American Flag in our waiting area was flown in 2012 upon a US Army Helicopter outside of a Forward Operating Base in Afghanistan. It was given to then LT Ryan Colosi USN from CPT Brand McNally USA.